The production of "The Hunchback of Notre Dame" stars actor Joshua Castille, who is deaf, as Quasimodo. He will deliver his song lyrics in American Sign Language (ASL), while actor E.J. Cardona, playing one of the cathedral gargoyles who come to life, sings the words. In a 5th Avenue Theatre rehearsal room, the cast of the company’s latest production is running through a scene. The show is “The Hunchback of Notre Dame,” adapted from the classic Victor Hugo novel and the animated Disney feature. 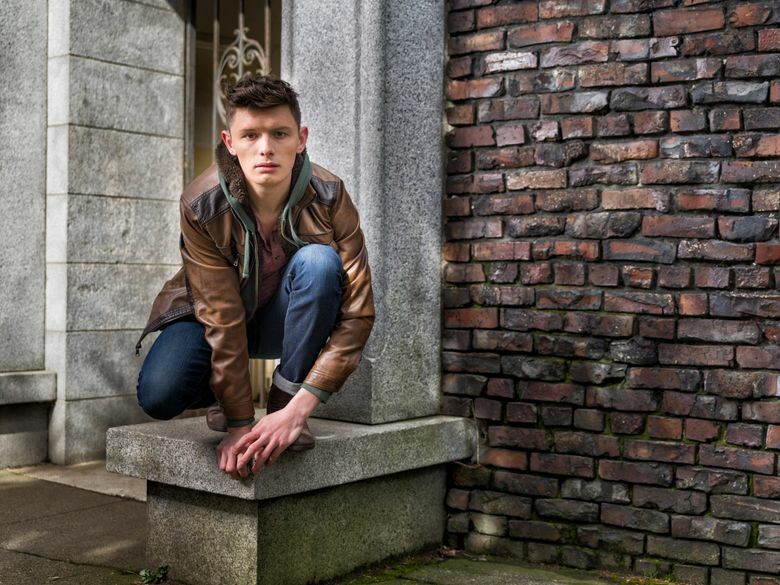 And playing Quasimodo, the much-maligned Notre Dame Cathedral bell-ringer, is the fresh-faced young actor Joshua Castille. Like the hunchbacked figure in Hugo’s story, Castille is deaf. And as the run-through of the number unfolded, he delivered song lyrics by Stephen Schwartz in energetically expressive American Sign Language (ASL), while a performer playing one of the cathedral gargoyles who come to life in the show sang the words to composer Alan Menken’s music. It was a form of “shadow” interpreting, a departure from the more common theatrical practice of having an ASL interpreter below the stage or off to the side, in special performances accessible to the deaf and hard of hearing. In this case, two forms of communication are interwoven — a practice which, at its best, looks fluid on stage, yet actually requires a deft, complex staging pattern, particularly for a musical. His Sacramento staging was lauded as “robustly creative” by The Sacramento Bee. 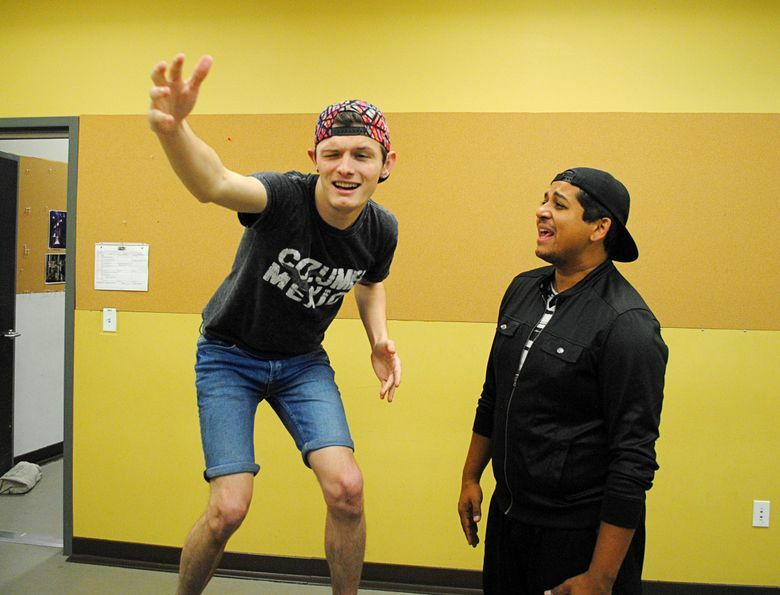 Now Casale is directing Castille in his debut as Quasimodo at the 5th Avenue Theatre, in an engagement playing through June 24. The new cast is augmented by the 30-voice Pacific Lutheran University Choral Union. The exuberant actor is a gregarious Louisiana native who began acting in student shows at age 11 and “found it was something I could really do.” He went on to perform in community theater, and while a Gallaudet University student in his teens, he scored his “Spring Awakening” role and began snagging TV parts. According to Casale, “Josh was right for this because I knew I wanted somebody who had a lot of heart, like the big heart inside of Quasimodo. 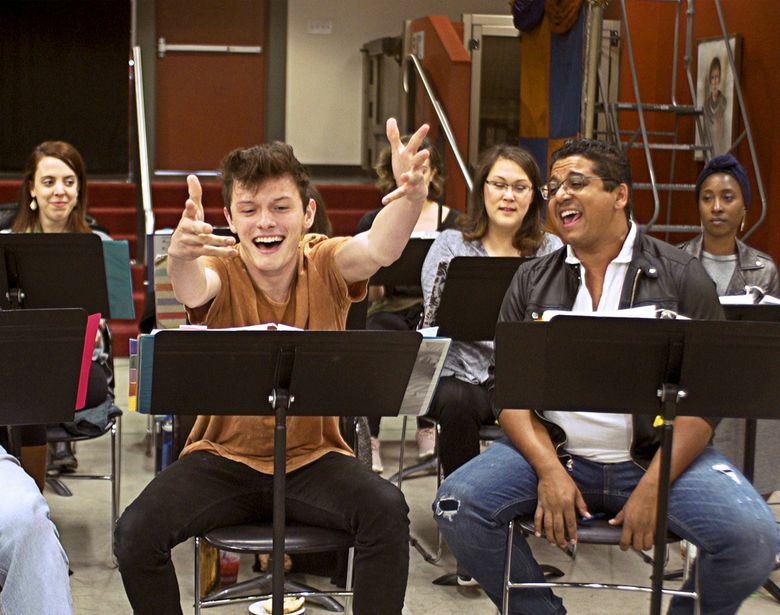 And Josh has that.” But the rehearsal process involved some special adjustments for Castille and his cast mates, who include 5th Avenue regulars Allen Fitzpatrick and Brandon O’Neill, and co-star Dan’yelle Williamson (making her 5th Avenue debut). Williamson portrays Esmeralda, the gypsy girl who takes pity on the physically deformed, isolated Quasimodo, and is lusted after by the hunchback’s villainous caretaker Dom Claude Frollo. Written for the stage by Peter Parnell, this rendition of “Hunchback” is closer to Hugo’s 19th-century novel than the popular 1996 animated Disney feature, and doesn’t downplay the extreme bigotry or the mob violence in the tale. (For other interpretations of the novel, see the silent 1923 film of “Hunchback” starring Lon Chaney, and the 1939 movie with an indelible lead turn by Charles Laughton). Quasimodo’s long confinement in a tower resonates symbolically with Casale. Though he said his own family has supported his ambitions, “some parents are very overprotective of their deaf kids. Even when they grow up they’re still seen as children — you can’t do this, you can’t do that, you can’t, can’t, can’t. The 5th Avenue will host seven entirely ASL-interpreted performances of “Hunchback of Notre Dame,” as well as one open-captioned show with projected dialogue and lyrics scrolling alongside the stage. For more information, contact audience services at 206-625-1900 or 888-584-4849.